Daily Acts and Sonoma Ecology Center would like to hear from you. We are hosting events where you can share your observations, ideas, and suggestions about water issues in your community. Our goal is to connect your input to Integrated Regional Water Management (IRWM) planning efforts and water policy. This will eventually help us prioritize future projects and opportunities, and we need your input, voice, and participation to make it happen! Funding for this program comes from Proposition 1, a bond that was passed by voters in 2014, and is being managed by EJCW. 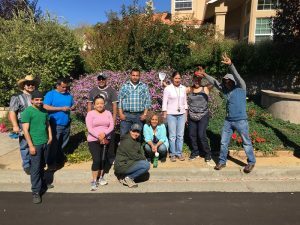 This program is a key element of the California Department of Water Resources’ IRWM planning process and over the next three years, EJCW will administer $6.5 million to outreach projects that engage populations historically underrepresented in water governance. Our hope is to provide vulnerable communities facing disproportionate environmental burdens with an equitable voice in determining their futures.